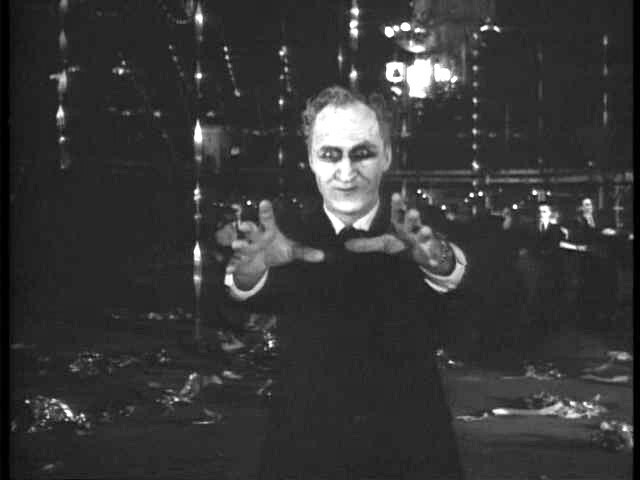 In our continuing series of 47 films to see before you are murdered in your dreams, we present the low budget cult horror Carnival of Souls. Some horror movies are surprising. They jump scare you or they Shyamalan you in the nuts when you least expect. Other horror movies depened on the dread of you knowing more or less what is going on. When Mary (Candace Hilligossis) and her girlfriends are involved in a car accident which sees their car run off the road and into a river, she is the only survivor. You know that it isn’t the case. Strange things continue to happen and she is haunted by the startling vision of stalking man. Moving to a new town and a new job – she is a church organist – doesn’t seem to help. Her character is stoic and solitary. She hasn’t an ounce of romanticism, nor despite her job is she particularly enamoured of music or for that matter religion. She’s harrassed by a fellow lodger who is goofishly predatory and something of a drunk. All the time her visions of a stalking man continue and she is slowly drawn to an abandoned carnival on the edge of town. Everything about the film drips the creepiness of the inevitable. Fate is coming her way and nothing can stop it. Not her intelligence, nor cool is any relief. In fact, her detachment takes on a literal form when suddenly she can’t be heard by anyone or seen as if she were invisible. The intervention of a doctor doesn’t help much and there is a Lynchian sense of the weirdness of the super normal as well. The film was made in 1962, written, produced, and directed by Herk Harvey, who also plays the freak from the visions. The low budget also lends a strangeness to the movie that high budget horror can only aspire to.